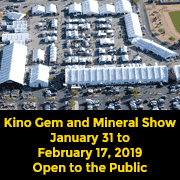 Sign up to receive periodic emails about upcoming gem shows. Is this your company? Add/update info and upload pics. Claim now to take advantage of the 451,826 annual visitors to this site. Upload photos of your products or staff (with captions), add your contact info, write breaking news about sales and special events (your news will auto-post on other pages on this site)! Add up to 50 products that you sell (with descriptions and prices). 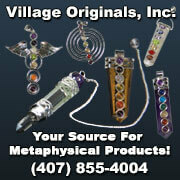 New customers can search for you by the products you list from the Vendor Search Directory! Link your email, website and all your social media accounts, driving new online customer traffic to sites in which you’ve already made a significant investment! Members pay $150-$350 and receive up to $1,816 of advertising — in Xpo Press EZ-Guides, website, apps, and social media! This is a profile page created by Xpo Press that provides information about this company for the purpose of driving customer traffic to their website and to the gem shows where they sell their products. This page is formatted for desktops, tablets, all mobile devices, as well as from Xpo Press gem show apps, and is searchable from Xpo Press’s Vendor Search Directory.